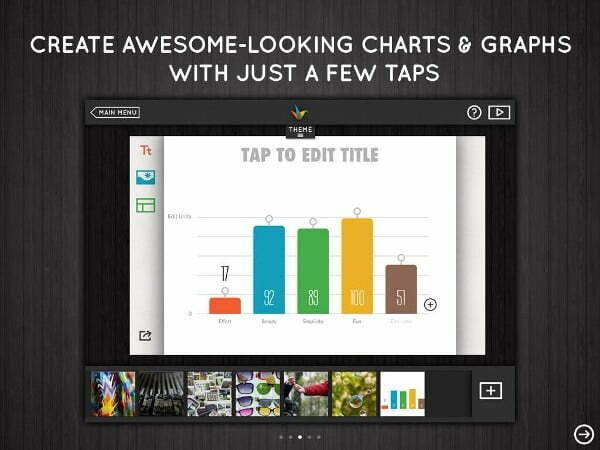 Haiku Deck is one of the best free presentation makers for iPad. 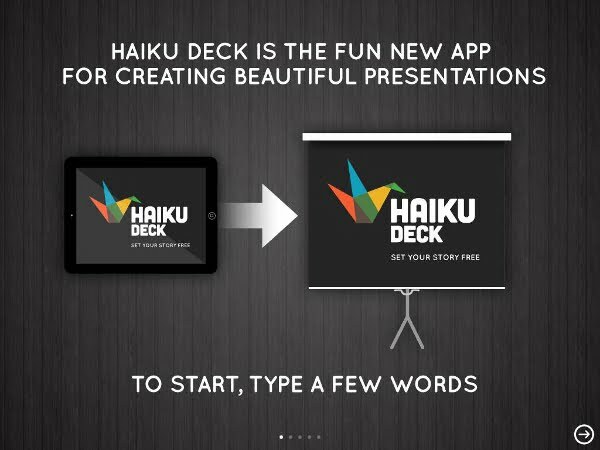 It can't completely replace Microsoft PowerPoint, Prezi or Keynote for Mac, but Haiku Deck iOS app definetely deserves to be reviewed. 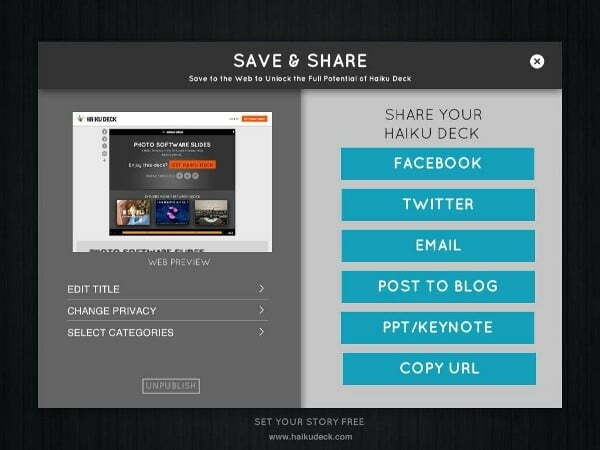 Look at the Haiku Deck presentation sample below that I've made in less than 1 minute! What I like the most about Haiku Deck is its short guid-tour upon the installation. 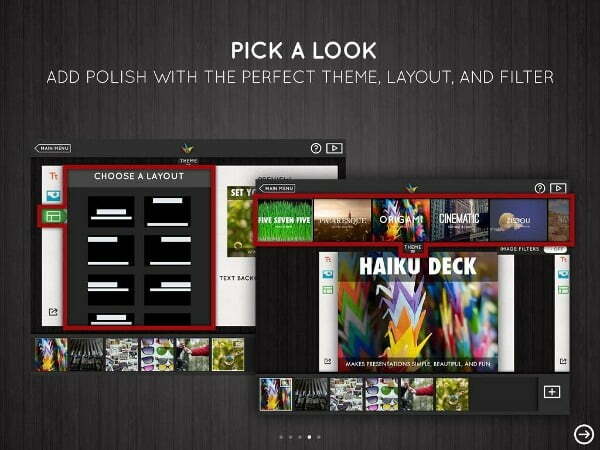 You'll get the idea how to use Haiku Deck and make amazing presentations on your iPad very quickly. The firts step is to select a presentation design template presented on the list. To do it, use the upper bar and slide till you find the one that suits your project. Here you'll see free and paid presentation templates. Both look awesome, so don't be afraid that your project looks cheaper or less professional if you stick to a non-paid presentation layout. I have to admit that the choice of template topics is huge but most of them are inspired by Apple style. After choosing your presentation style, tap on the "Plus" sign in the right bottom corner and add your initial presentation page. You can add a title, text, photo or enrich your page with content boxes or graphs! But I recommend you to keep pages clean and readable. Don't overload presentations with visual elements. 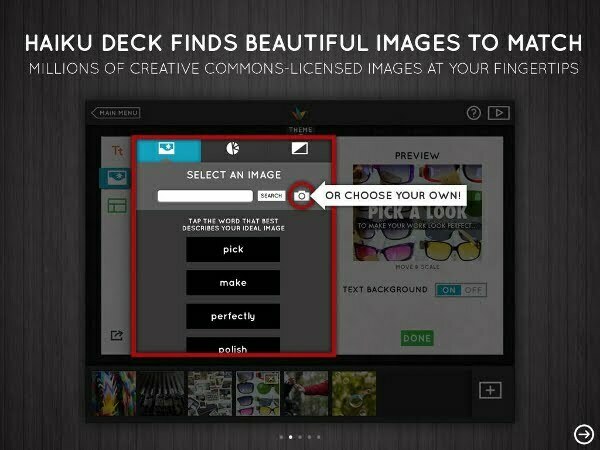 However, if you need to add an image, Haiku Deck helps you with it. Just tap on the image icon and you'll get an array of creative common licensed images for absolutely free! You add more pages in a similar manner by clicking the "Plus" sign. When you are done with your presentation, you'll see saving options such as: send by email, to Twitter, to Facebook, embed on a blog or site, download presentation as PowerPoint or Keynote file. Don't forget that the final page will be added automatically by Haiku Deck. You can add your site, Twitter account or contact info there. 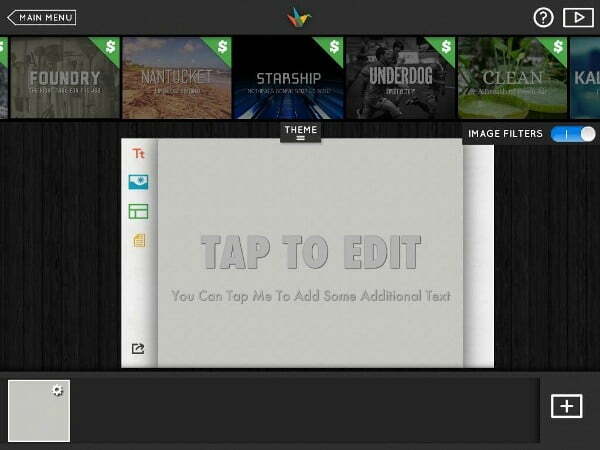 To sum it up, Haiku Deck is intuitive and really simple in use. I enjoyed high quality of iPad presentations.